There are enough twists that just when you think you got the mystery figured out there comes along a new suspect. I even found myself smiling at the antics in this book. 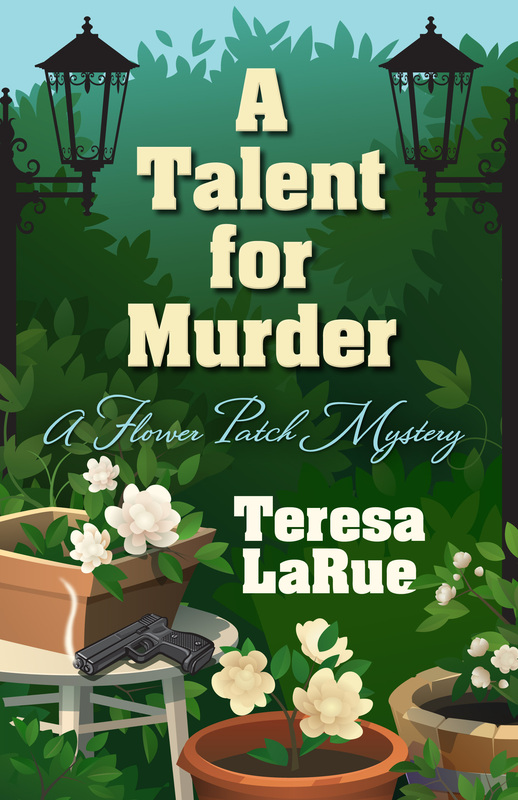 A Talent for Murder is a cozy, southern mystery filled with humor and colorful characters, with a touch of romance thrown in for added fun. When Kate Spencer learns her aunt’s fiancé is two-timing her with an old rival, she has no choice but to pass along the information to her mother. They are as shocked as the rest of the town when the rival turns up dead and the two-timing fiancé disappears. Making matters worse, the lead investigator happens to be Kate’s old boyfriend. If her aunt has any hope of being cleared, the trio must conduct their own investigation. Even if they have to alienate a few friends and tell a few lies to discover the truth. Teresa A. LaRue grew up in a small town along the Mississippi Gulf Coast. She fell in love with the mystery genre in fourth grade. She’s worked as a secretary, assistant manager of an audio book store, and manager of a fashion jewelry store. She is an avid reader, gardener, and movie buff. She lives across the lake from New Orleans with her family, which includes a dog named Bones and a cat named Chloe. Another one to add to my t-b-r list. Sounds like a fun story to read. Cozy Mysteries are my favorite books to read!! Thanks for the chance to win!! Happy holidays!! I love a good southern cozy!! Sounds like a good southern cozy.